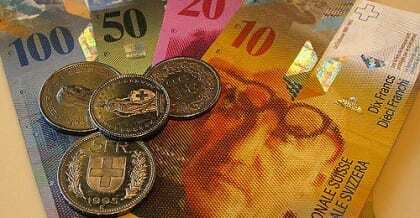 Swiss government has released a new report showing the implementation of a basic income in Switzerland would cost far less than it had previously anticipated. On March 11th, the Swiss Ministry of Social Security released a new calculation of the cost of a universal basic income. According to the latest estimates, a UBI would cost the country only 25 billion Swiss francs. This is substantial revision from previous estimates, which had put the cost as high as 154 billion Swiss francs. The revised calculation will likely increase the appeal of a UBI as the country approaches a referendum election on June 5th, in which a basic income is one of five propositions that will be voted on. According to the basic income proponents in Switzerland, the introduction of a basic income would only cost 2 billion francs. Image Credit: “Shifting to Francs” by Storm Crypt (Flickr, creative commons), 6 April 2009.